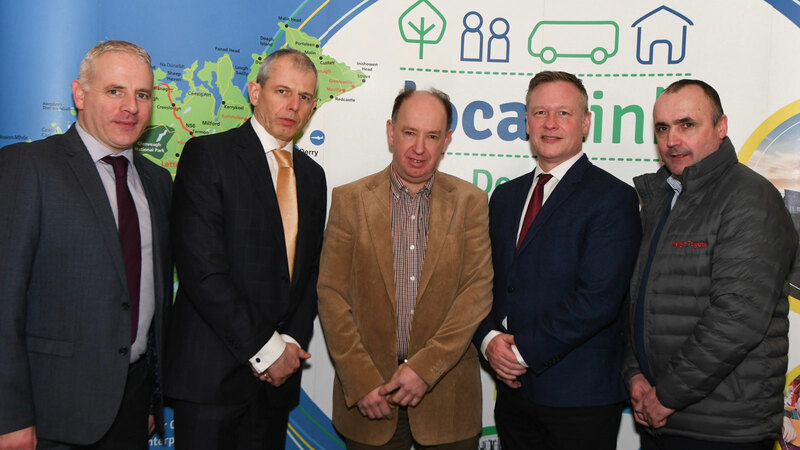 Month-long Local Link Donegal cleaner transport pilot programme reveals positive results – changing to Hybrid Electric / Plugin Hybrid vehicles could deliver a 35% reduction in fuel costs and a 22% reduction in CO2 emissions. Toyota Ireland provided self-charging Hybrid-electric and Plug-in Hybrid vehicle models for inclusion in pilot covering North West Donegal, Sligo, Cavan and Monaghan. Partnership reinforces Toyota’s commitment to being ‘Built for a Better World’. As part of this review, Local Link teamed up with a number of partners including Toyota Ireland, SEAI, and the Department of Transport with the objective of benchmarking cleaner and innovative transport solutions for the future. The pilot program, launched in February 2018, saw Toyota Ireland supply self-charging Hybrid electric and Plug-in Hybrid vehicles for drivers to test in real world conditions. The aim was to establish what advantages they may have when compared to traditional diesel vehicles, in terms of fuel efficiency and emissions reduction. This is the first pilot of its kind in Ireland where government agencies and private industry have combined their expertise to help identify the building blocks for a cleaner transport strategy. Data collected during the pilot has established Local link Donegal could reduce their fleet Co2 emissions by an impressive 31 tonnes per annum by switching from diesel vehicles to Hybrid Electric and Plugin Hybrid vehicles – as well as significantly reducing Nitrous Oxide emissions. The overall results demonstrated a 22% reduction in Co2 emissions and a 35% reduction in fuel costs when diesel vehicles were swapped for hybrid electric vehicles. This aligns with Toyota Ireland’s brand promise of Built For A Better World, by helping create a better environment and cleaner air for our children’s children and clearly demonstrates the real-world benefits of hybrid. To make the program as “real world” as possible, the vehicles were tested in some of Ireland’s most challenging conditions. A Local Link area serving Letterkenny University Hospital was chosen which covers North West Donegal, Sligo, Cavan and Monaghan – one of the largest routes in the country. Drivers on this route take over 1.2million kilometres in journeys every year. “Toyota Ireland is delighted to be working with Local Link Donegal on this very important pilot programme. We’re continuously looking for innovative ways to communicate the benefits of Toyota Hybrid technology to the Irish market, and this pilot has afforded us that opportunity." "We have long believed in the ability of Hybrid technology with regard to reducing emissions and these findings now confirm that Hybrid electric cars are truly a better way, that Hybrid is suitable for urban and rural conditions and that there is a real environmental benefit available to us in Ireland right now”.